I am so excited to be participating in this month's Secret Admirer Blog Hop hosted by Amanda over at Primary Gal. I love reading blogs (especially in the summer) and getting ideas. One of my favorite parts of summer is being able to catch up on all my blogs! 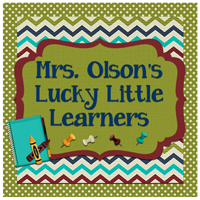 The blog I am "admiring" is Mrs. Olson's Lucky Little Learners. 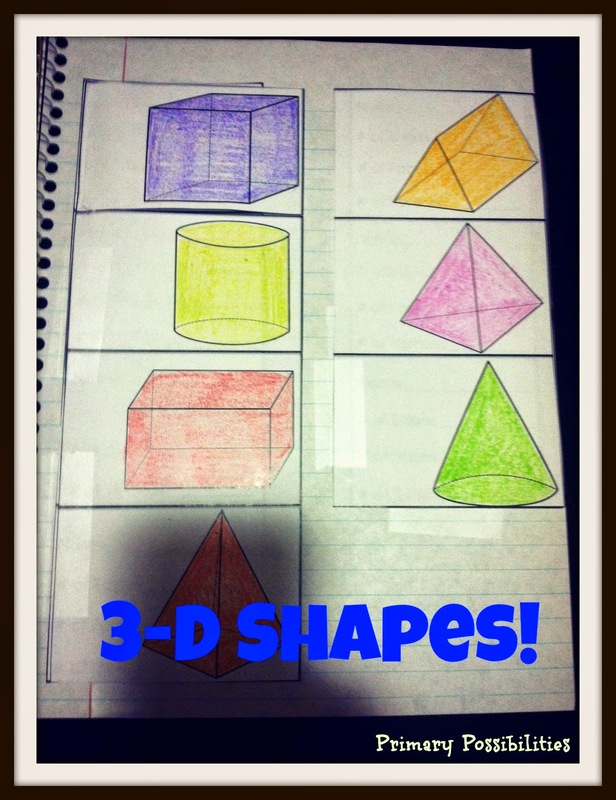 Ashley has such great ideas and products! This product is super awesome! 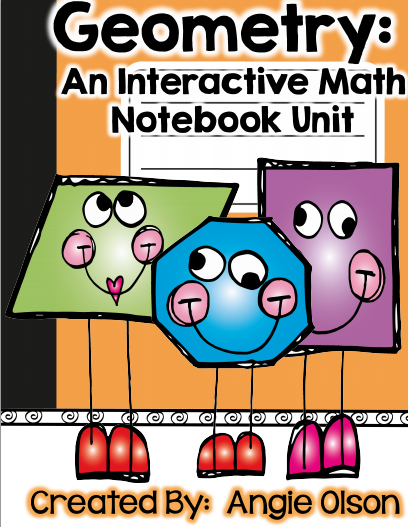 I can see this used in whole groups, math stations or in small groups! 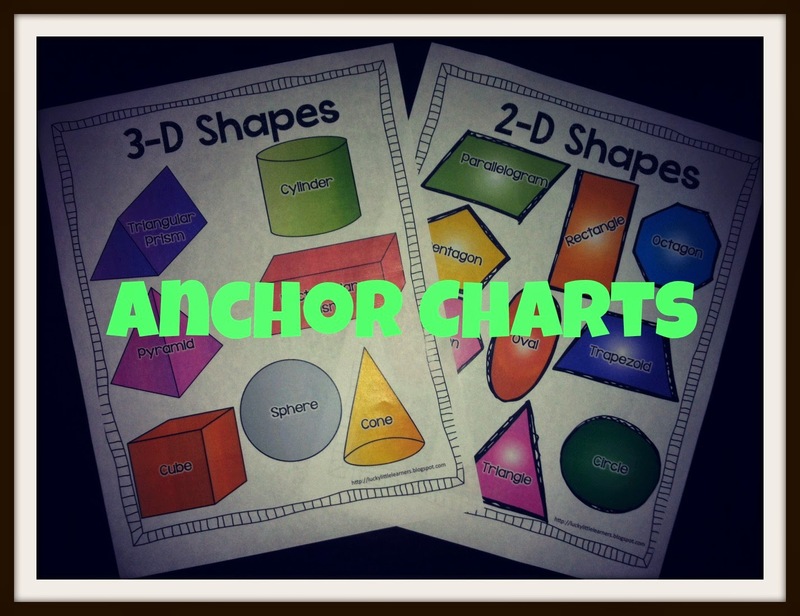 Angie has included some full page "anchor" charts with 2-D and 3-D shapes. These look awesome in black&white or in color. 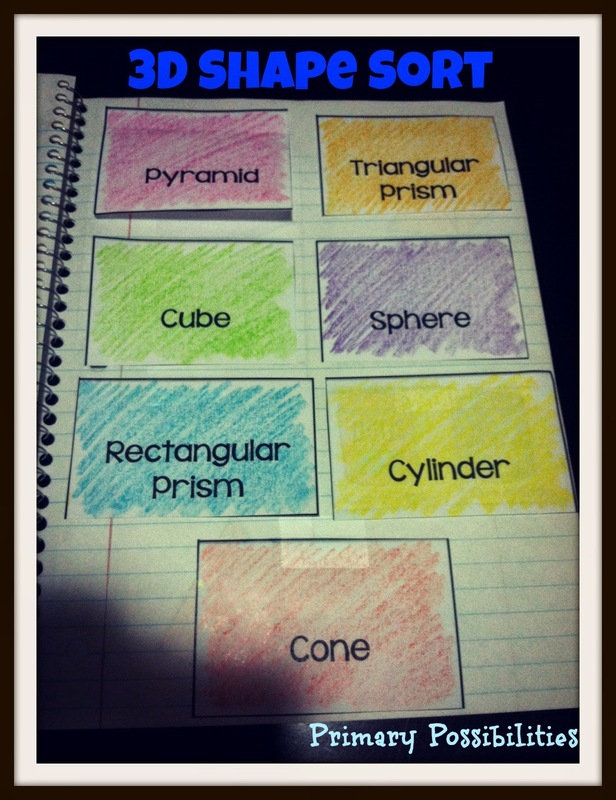 I plan to use a copy for my math wall and also print a copy in B&W for my kiddo's math notebooks. One of the many things I LOVE about Angie's product is that she included "real life" pictures of what the finished product is supposed to look like. 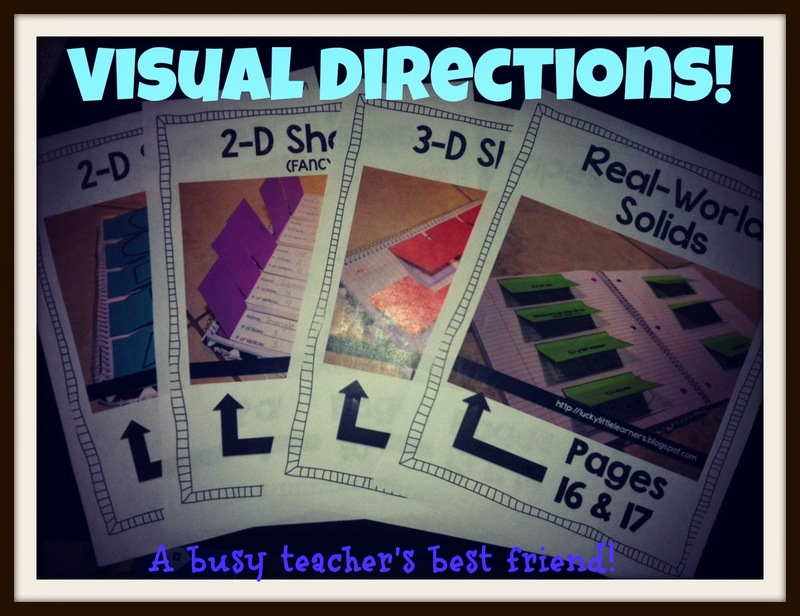 This is such a time saver because instead of reading lengthy directions, you can simply scan the photo and know if you are on track! 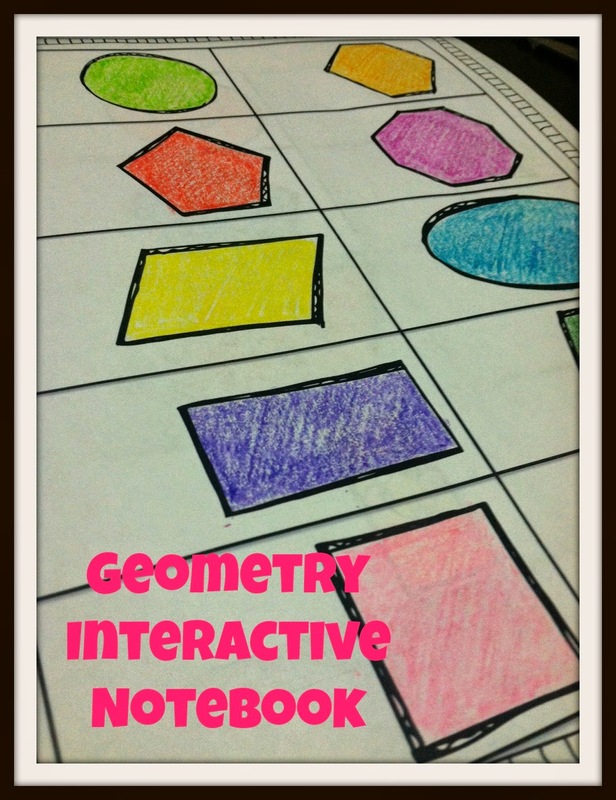 This is a super easy to use and realistic interactive math notebook activity. It doesn't take a boat load of time but it is effective and it looks great! 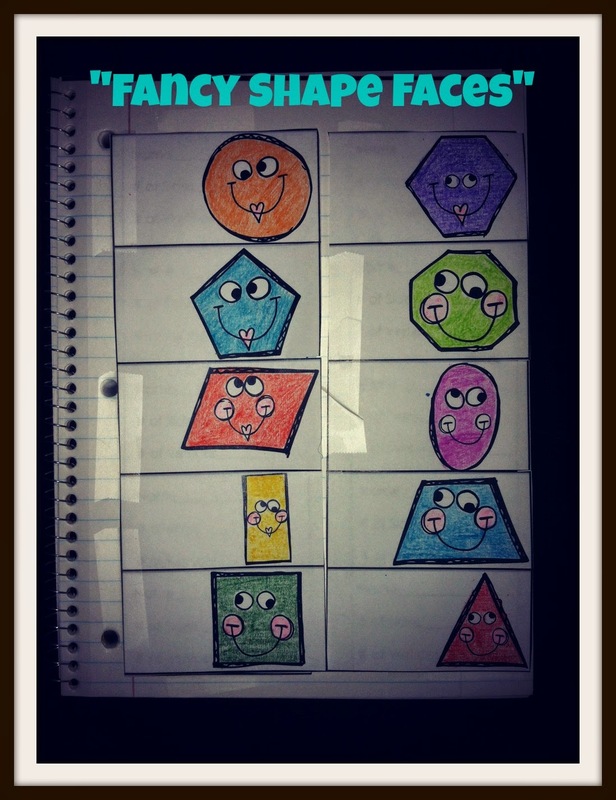 Angie has included a 2-D shape activity where the shape is on top and the characteristics of the shape are under the flap. Super easy and effective! 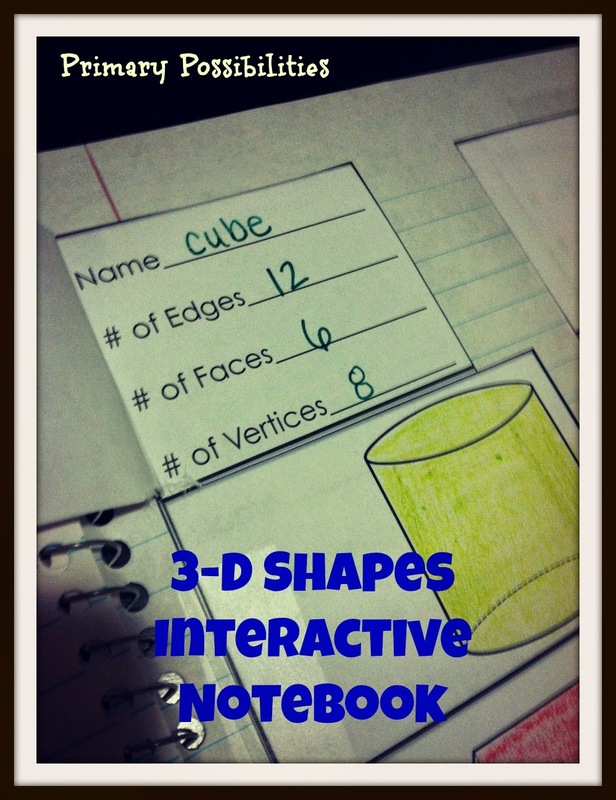 Also included are 3-D shape interactive pages! 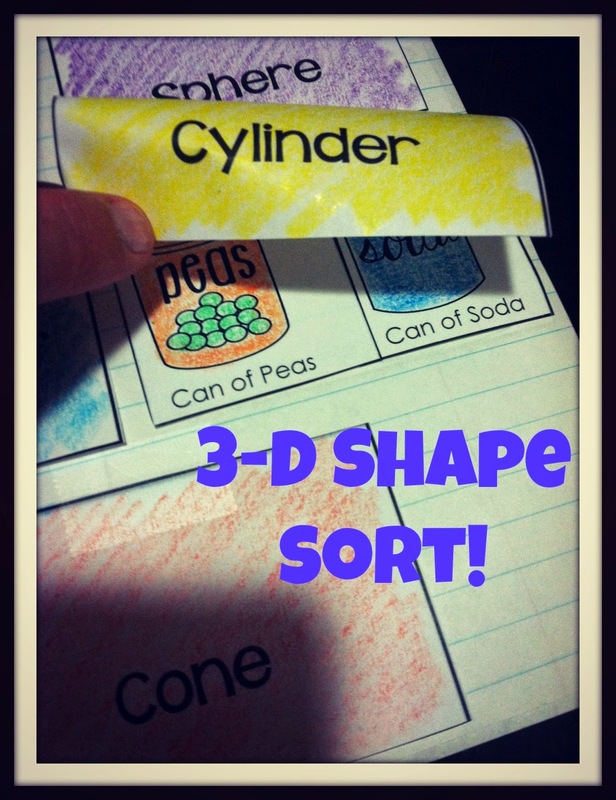 She had also included a great 3D shape sort! 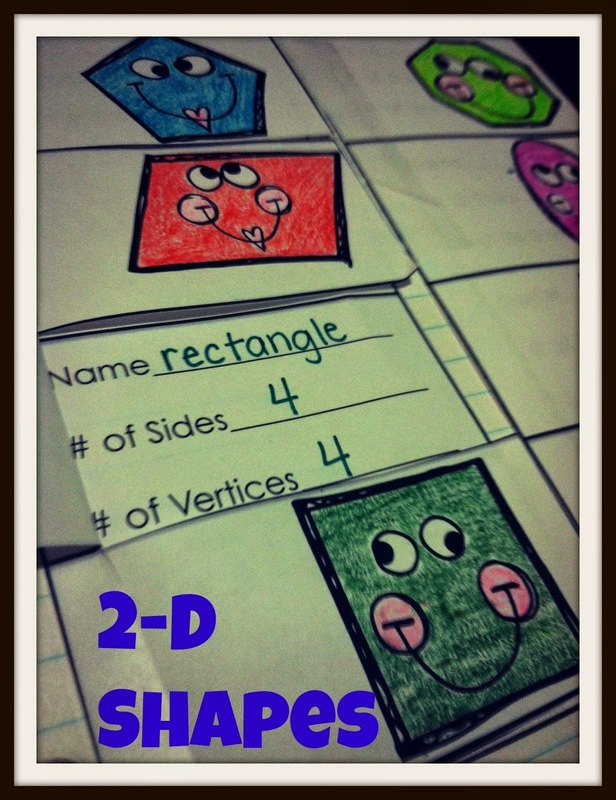 2D Shapes, 3D Shapes, and shape riddles... your students are going to love adding these activities to their math notebooks! 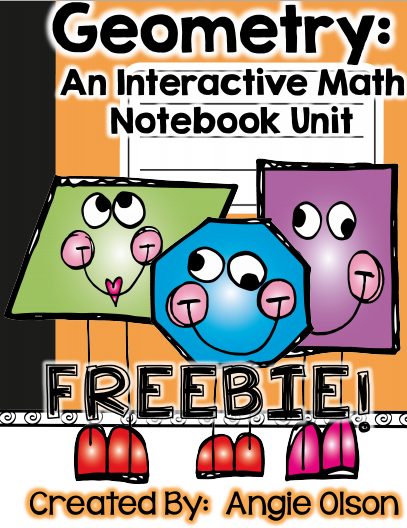 You can pick up a little "freebie" from this unit by clicking below! Check out the other products in Angie's store by clicking HERE! Check out the other Secret Admirer Posts by clicking below!! Ah, Stephany! This makes my day! I am seriously feeling the love as I read through this post. Thank you for choosing me and for doing such a nice job of reviewing my product!!!! This looks wonderful! Thank you for the freebie too!